The Department of Cardiology boasts of a faculty that is nationally and internationally recognized in treating various cardiovascular conditions including atrial fibrillation, interventional cardiology, and heart failure. Solidly backed up by a dedicated team, the department has a unique reputation for personalized yet sophisticated cardiovascular care. All patients are offered the latest in device, ablative and surgical therapies. The department runs one of the busiest OPDs in the hospital. A 10 bedded ICU and 20 bedded HDU is being run by a dedicated and tireless staff. Oncosurgery department was initiated in 2014. Cancer surgeries of head and neck region, gastrointestinal, genitourinary, and breast are routinely performed. To name a few- Whipple’s procedure, Ivor-Lewis, head and neck reconstructive surgeries and breast conservation surgeries. The oncosurgery department along with the radiotherapy department conducts tumor board on every Friday of the week, wherein the management of each cancer patient is discussed. The department of plastic surgery was started in 2014 wherein all range of aesthetic surgeries is performed. These include- facial rejuvenation (surgical & non surgical), rhinoplasty, body contouring surgeries, reconstructive surgeries (post-traumatic & post-oncosurgery). The department also efficiently manages burn cases and burn sequelae. Besides these microvascular & super microvascular surgeries are also performed. Urology has consistently been the best performing surgical department in the institute. Staffed by a dynamic team of doctors, technicians and nurses, the department is peforming all kinds of endourological procedures, oncourology, reconstructive urological surgeries, urotrauma and pediatric urological operations. The department constantly upgrades itself and now boasts of the latest Lithotriptor, Latest endourology set and Urodynamic studies to complement its commitment to patient care. The department of urology also deals with cases of male infertility and sexual dysfunctions. Starting to function as an independent department in the year 2010, the department of Neurology has made steady progress and is now offering round the clock emergency and Inpatient/Outpatient services at a very nominal cost. In conjuction with the ICU Department, Neuro crititcal care is being offered. The department also runs two special clinics in the form of Epilepsy clinic and Headache clinic everyday. In addition, Nerve conduction studies, Electromyography and EEG are being performed daily in the outdoor department. The Gastroenterology department made its beginnings with the acquisition of equipment related to performing Video Upper GI Endoscopy and Colonoscopy. A dedicated team of doctors and technicians work in tandem to perform diagnostic & therapeutic endoscopy, colonoscopy, ERCP on the regular basis. Actively participating in the two International Conferences held at our Institute, the Department of Gastroenterology conducted workshops in diagnostic and therapeutic endoscopies which was well attended and appreciated. With the creation of a separate department (from General Surgery), Gastrosurgery has come to be of its own in the year 2011. Managed by a newly formed and highly motivated team of doctors, technical staff and ICU personnel, the department has started performing many advanced procedures in Hepatobiliary and Oncological surgeries. The department also is performing all types of Video Endoscopic diagnostic and therapeutic procedures in conjunction with the department of Gastroenterology. Future plans include advancement in the field of laparoscopic surgeries with particular emphasis on laparoscopic oncosurgeries. Having the distinction of being one of the oldest super speciality departments in the institute, Nephrology has been in a state of steady progress. Always improving, the department successfully runs the busiest dialysis centre in the region catering to a wide variety of patients from all walks of life. Ever ready to provide services, the department is always well received by one and all. Managing the dialysis centre in the institute is a cohesive and dedicated team of doctors, technicians and nursing staff. Department is managing every aspect of kidney disease and is intensively involved in all procedures of interventional nephrology including kidney biopsy, placement of temporary as well as permanent vascular catheters (PERMCATH), AV fistula, AV shunts and CAPD catheter placement etc. All the latest modalities of treatment are being offered at exceptionally low cost to the patients. The Department of Neurosurgery constitutes the largest speciality division for neurological surgery in the Rohilkhand region, and is one of the most reputed of its kind in Western Uttar Pradesh. It is the main tertiary level referral center of the region for neurotrauma and complex neuro-surgical maladies. 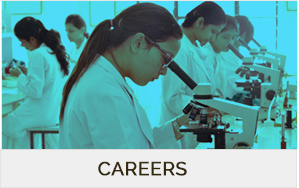 The philosophy of working in unison with other speciality divisions of Neuromedicine, General Surgery, Orthopaedics, Radiodiagnosis, Neuropathology, Radiotherapy, Otorhinology, and Physical Medicine to offer a multi disciplinary approach to problem solving, lies at the core of the department’s work ethos. The Department handles all kinds of Trauma cases, Cerebrovascular accidents, Tumours, Spinal deformities/lesions and Paediatric Neurological Diseases. Recently cranial endoscopy has been started.